A deluxe Birthday Card personalised using our unique metallic foil crystal labels. You can choose what you would like personalised to a max of 25 characters. Card measures 5x7" Inside wording "Have a terrific day filled with all the great things a happy birthday could bring. Have the best day ever!" 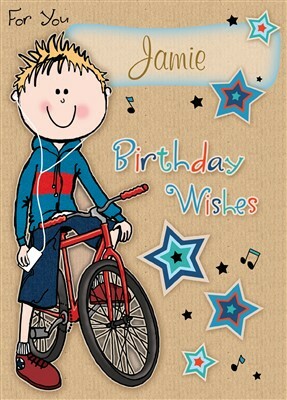 For you and birthday wishes are printed on the outside of the card as standard and can't be changed or removed.